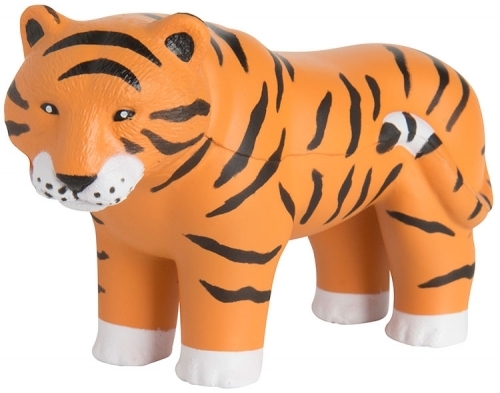 This tiger shaped animal stress reliever is patiently waiting to pounce your customers’ stress away! Fun for any company for any event! From sport teams to wildlife conservation, these will earn their stripes with your customers! Send a powerful message to your competition at the next trade show or convention while customers are swiping these up! Products are not intended for use by children or pets. They may present a choking hazard to children under 3 years of age. Imprint Area : .875" x .625"